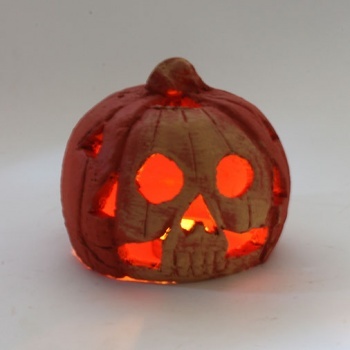 These spooky ceramic pumpkins are perfect for lighting a T-Light in for trick or treaters. Despite being overshadowed by the proximity of The Day of The Dead, Halloween is still celebrated in Mexico, albeit largely by children. 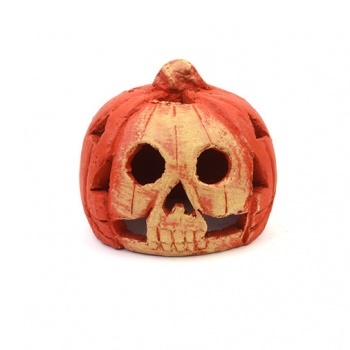 Each one is handmade in Jalisco, Mexico and features a scary skull on one side. 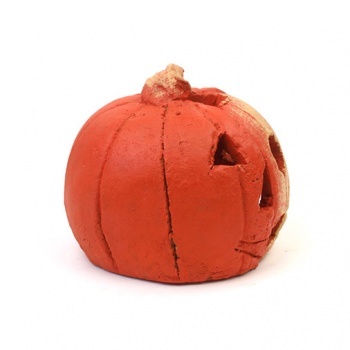 This product is entirely handmade and natural variations should be expected, goods received may differ in a number of ways from the picture shown, especially in regard to colours & patterns though other possible slight natural variations may occur. This should be seen as an asset not a fault – we believe it is better to have a unique item than mass conformity.